St. Joseph, MI – November 15, 2018 – The Krasl Art Center is pleased to announce Arte Cubano as part of its exhibition programming. Arte Cubano highlights a universally agreed-upon characteristic of the island’s art: an incredible diversity. Cuban art is so rich in large part because of its diverse cultural blend of African, European, and Latin/Caribbean influences. Add to these traditional roots the revolution of 1959, and Cuban art occupies a unique aesthetic place in the contemporary art world. Arte Cubano opens November 30 at Krasl Art Center. ﻿Building on changing relationships between the governments of the United States and Cuba, this timely exhibition reflects more than twenty-five Cuban artists’ ruminations on the quotidian, social, and political realities of the island and the contemporary world. The island geography and political intensity of Cuba inform the work in a way that is immediately identifiable, often concealing coded, even subversive, ideas while simultaneously celebrating the richness of Cuba’s cultural identity. Peeling away the layers of Cuban art often reveals a story of struggle caused by economic and political consequences, and the social upheaval that a true revolution produces. Mid-America Arts Alliance/ExhibitsUSA co-organized Arte Cubano with the Center for Cuban Studies (NYC) to synthesize two extraordinary private collections generously made available for the project. This exhibition could not have been made possible without their collecting vision and loan generosity. The Center for Cuban Studies opened in 1972 and was organized by a group of scholars, writers, artists, and other professionals, in response to the effects of US policy toward Cuba. This exhibition is generously supported by Chemical Bank. Extended through February 2019, Allison Svoboda will install new select works on paper. Svoboda will also host another artist talk and workshop. Date and time to be announced. Allison Svoboda uses the patterns and forms found in nature to create intricate, collages of layered pen and ink paintings that are assembled into large scale installations. Meditative, bold and delicate all at once, her work draws viewers in and holds them captivated. Exhibition-related programming: The Krasl Art Center will offer a lecture entitled Political Generations in Cuba's Revolution and Exodus by Silvia Pedraza, Professor of Sociology and American Culture at the University of Michigan. Friday, November 30 at 5:30-6:30 pm; the lecture is free & open to the public. Limited seating. About the lecture: The Cuban Revolution is now over half a century old. For all that time, Cubans in the island lived through distinct historical moments, which shaped their consciousness and attitudes. Various waves of exiles also left the island. In this talk Pedraza uses the concept of political generations to try to explain the different consciousness and attitudes in those who remained in the island as well as those who left. Opening Party: Friday, November 30, at 6-8 pm; free & open to the public. Salsa was born in Cuba, built on Afro-Cuban rhythms and earlier dance forms like són. Today, salsa is all over the globe, practiced with styles as unique as the places it’s found in. Join South Bend Latin Dance for a lively demonstration at 6:30 PM, followed by a mini dance lesson. No partner, experience, or coordination required! Practice your new moves throughout the remainder of the party or step off the dance floor and create your own exhibition-inspired artwork! Small bites and cash bar available. South Bend Latin Dance is based in South Bend and serves a larger regional community. They honor salsa and Latin dance in all its forms and welcome dancers of all backgrounds and abilities. Coffee with the Curator: Monday, December 3 at 9 am; free & open to the public. Gain insights to the art on view and the connection to the artworld at large in this gallery tour with KAC Deputy Director and Curator, Tami Miller. 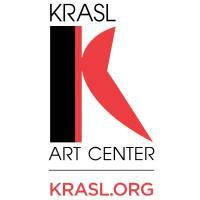 The Krasl Art Center is a 501(c) (3) non-profit organization. The Krasl Art Center is located in downtown St. Joseph, Michigan overlooking Lake Michigan. The KAC has three public galleries, five studios, a library/lecture room, a black and white wet darkroom, a gift shop, and a permanent collection of 42 works of sculpture. Through its mission to bring people and art together, the KAC offers thoughtful exhibitions, engaging classes and camps, community events such as Krasl Art Fair on the Bluff and the Artisan Market, outreach opportunities, and cultural exploration. The Krasl Art Center is funded in part by the Michigan Council for the Arts & Cultural Affairs and the National Endowment for the Arts. The Krasl Art Center galleries are open Monday-Wednesday, Friday & Saturday from 10-4; Thursday from 10-9; and Sunday 1-4. Admission to the galleries is free of charge. For more information, please contact the Krasl Art Center at 269.983.0271, or visit www.krasl.org.